the ART is in making it speak. For business related information see Services and Pricing. The Data Sheets section will have focused information. Examples of my design projects are in the Design Portfolio. 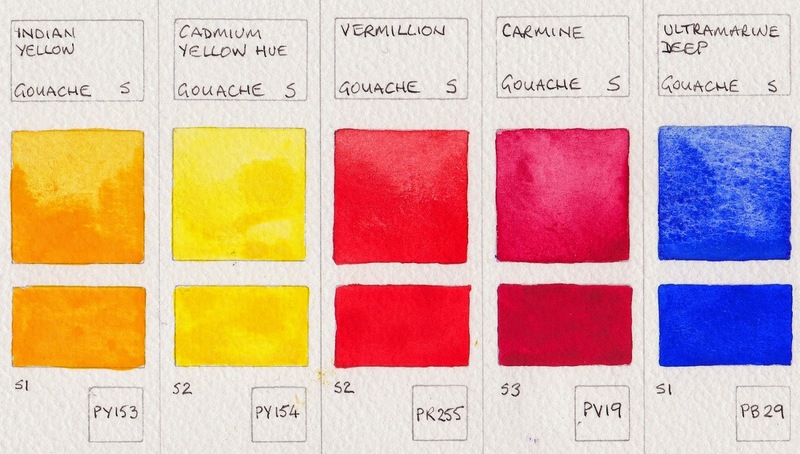 What is a Designer? We toss the phrases around, and its fashionable to refer to oneself as a "Designer" or "Artist." Well meaning people sometimes use the term Graphic Artist. We would love to see ourselves as Artists. But in the 90s commercial printers (press operators, binders, and typographers) started referring to themselves as "graphic artists." So most creatives use the term Designer, instead. A designer is a person who designs. More formally, a designer is an agent that "specifies the structural properties of a design object". In practice, anyone who creates tangible or intangible objects, such as consumer products, processes, laws, games and graphics, is referred to as a designer. As an example of the importance of design... every business has a "presence" with the public. A business's image is as important as its products and employees.The purpose of corporate image design is to control that image and present a purposeful "face" to the public. It is always to one's advantage to be in control of the image the public has for your establishment, rather than letting it fall to chance. That image is an asset, as valuable as any physical asset. And often, the only contact you have with a prospective customer. Branding is the identity carried by a product. It is the designer's job to work in concert with the client to create a meaningful, unified image. One that expresses and reinforces an overall consistent impression. An award winning design may be a complete failure if it doesn't do its intended job. The possibilities are limitless. Presentations have evolved from stories around the campfire through overheads, slides, film, video, PowerPoint shows, QuickTime VR movies, to full digital 3D animations. Who knows what will be next. Simple or complex, visual support can make dull or repetitious information easier to digest. No matter what the media, the basic guidelines never change. Say what needs to be said in a way that keeps their attention and makes them ask for more. Accepting the old truth that "the more you learn, the more you discover you don't know" is very important to growing as a person. We must walk past our fear of failure and our preconceived ideas to find our successes.There are lots of sources of inspiration out there today. And I encourage all Creatives to keep exposing themselves to them as often as possible. The Library is one of several places where I keep lists of these references. The more you know and experience about a subject, the better your expression of it will be. A wonderful source of how and why this is true comes from Pixar's Ed Catmull in his book Creativity, Inc.
For todays young adults, Graphic Design has always been part of their world. To most of them its movie posters, web pages and advertisements. Its so common that they don't even see it on the surfaces of nearly every man-made object they pass... from their cigarettes or gum wrappers to the buildings, furnishings, walls, billboards and transit mechanisms that we use... the weather maps you see every day, your Facebook page. Next time you walk into the grocery store or the mall, look around you at what has been designed. If it didn't grow somewhere it was designed... and even now, many of the things that grow were designed! Back when I started college there was no "graphic design." There was only Art; Fine Art and Commercial Art. The difference between the two being that Art (with a capital A) was something you did for yourself and Commercial Art was done for someone else, for pay. Most definitely for pay. Strangely, selling ones fine art was not considered the same as creating something for the money. Making a living from ones artistic talent was seen as having "sold out" unless you were Michaelangelo or Picasso. In the meantime, people like Milton Glaser, Herb Lubalin and Ralph Ginzburg were inventing Graphic Design. A form of artistic work that was respected and rewarded. Glaser has actually commented on the difference between the two camps of Art. As much as the public holds "pure art" in esteem, graphic arts add an immense amount to our daily lives. The pinnacle of Lubalin's entrance into the spotlight was his solution for their magazine to the "inherent difficulties presented by the incompatible letterform combinations in the title [Avante Garde]... and Ginzburg’s hope for an expression of 'the advanced, the innovative, the creative,' consisted of tight-fitting letterform combinations to create a futuristic, instantly recognizable identity. The demand for a complete typesetting of the logo was extreme in the design community, so Lubalin released ITC Avant Garde from his International Typeface Corporation in 1970." "Modern graphic icons such as the I Love NY logo—a tourism-campaign symbol created for the New York State Department of Commerce that became "the most frequently imitated logo design in human history"—are showcased as the Philadelphia Museum of Art and COLLAB salute designer Milton Glaser. Taking inspiration from the history of art and graphic design, Glaser created a new style of graphic communication that combines visual and intellectual concepts. This focused retrospective exhibition illustrates the variety and invention of his design process. Glaser has received the year 2000 Design Excellence Award from COLLAB, a group of design professionals who support the Museum's contemporary design collections." We still used skills that were pretty much unchanged from those developed in the 1400s... pencils, ink, chalk, charcoal, and paint. Type that wasn't handwritten was either carved on blocks or in a typewriter, refinements had been made in the processes but they were still basically the same. 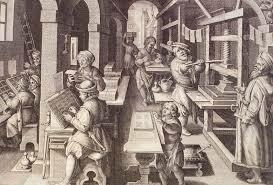 The early days of commercial printing and illustration. Before this it was all done by hand. It was a dangerous job even in the 1930's... there was an open vat of molten lead within arms distance. I have a friend who's grandfather was employed like the gentleman above... and died from lead poisoning. the German design school Bauhaus 1919-1939. The other big difference, there were no computers outside of the military and government until the 1970s. ENIAC, which stood for Electronic Numerical Integrator and Calculator, was completed in 1946 at a cost of nearly $500,000. It took up 15,000 feet, employed 17,000 vacuum tubes, and was programmed by plugging and replugging some 6,000 switches. It was first used in a calculation for Los Alamos Laboratories (nuclear research) in December 1945, and in February 1946 it was formally dedicated. On June 14, 1951, Remington Rand delivered its first computer, UNIVAC I, to the U.S. Census Bureau. It weighed 16,000 pounds, used 5,000 vacuum tubes, and could perform about 1,000 calculations per second. On November 4, 1952, the UNIVAC achieved national fame when it correctly predicted Dwight D. Eisenhower’s unexpected landslide victory in the presidential election after only a tiny percentage of the votes were in. 3' across and only 32K of memory. 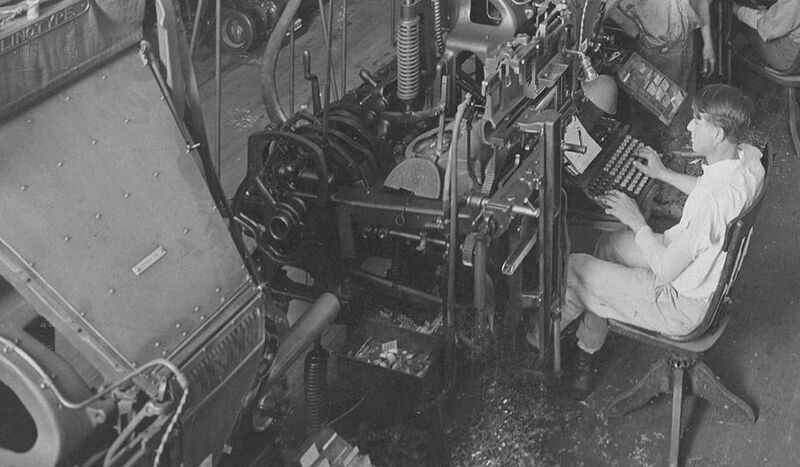 Those early machines had to be programed with text and numbers to do anything at all. Spend some time at the HP Computer Museum. If you wanted a red circle, you had to know how to use machine language to tell the computer to draw it in mathematical terms. A bit like we did in the 90s with MS Word --- if you wanted a colored box around your type you entered the Postscript code into your document along with the text. In the 60s my dad (an electronic engineer and printed circuit designer) built some interesting devices, but until Steve Jobs and Steve Wozniak put together their first personal computer in 1985, only corporations, universities and governments had computers. Apple also brought us the Graphical User Interface... you could write or draw like you were using a pen on paper!!!! finally, you didn't have to be an engineer to use a computer. Artists and designers could use computers. The complaint then became "why do I need a color monitor when I can't print in color?" Today we hardly remember a time without computers. .. and not only can our grandmothers routinely print in color, we print in 3D making things from plastic, food grade gum paste, metal and even concrete.